Cesar Millan is a Mexican-American dog behaviourist. Check out this biography to know about his birthday, childhood, family life, achievements and fun facts about him. César Felipe Millán Favela is a Mexican-American dog behaviourist who has gained fame for his Emmy-nominated television series ‘Dog Whisperer with Cesar Millan’, which aired on National Geographic Channel from 2004 to 2011 and Nat Geo Wild from 2011 to 2012. 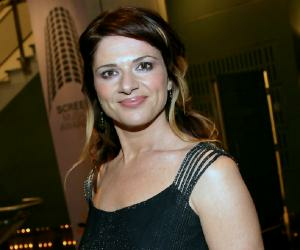 Millan has subsequently starred in TV series documentary ‘Cesar Millan's Leader of the Pack’ and ‘Cesar 911’. He is also the author of several New York Times best-selling books. In 2002, he set his rehab complex, the Dog Psychology Centre, in Los Angeles, California, which he shifted to Santa Clarita in 2009. That year, he also collaborated with IMG in introducing a monthly magazine called ‘Cesar’s Way’, which was published until late 2014. According to ‘The Wall Street Journal,’ Millan is one of the most prominent celebrities in the United States as half of the American consumers know who he is. He has launched his own line of dog products and released instructional DVDs. Millan and his former wife, Ilusión, established the Millan Foundation, which later became Cesar Millan PACK Project. The foundation’s primary initiative is to garner financial support for animal shelters and organizations devoted to rescuing, rehabilitating, and re-homing abused and abandoned animals. Born on August 27, 1969, in rural Culiacán, Sinaloa, Mexico, Millan is the second of five children of Felipe Millán Guillen and María Teresa Favela. He has one brother, Erick, and three sisters, Monica, Nora, and Mireya. Both of his parents worked, but it was not enough. Millan spent most of his childhood working with animals on the farm in Sinaloa where his grandfather was a tenant farmer. Since he was a child, Millan has demonstrated how natural he is around dogs. People who knew him at the time called him el perrero, "the dog herder". He later relocated to Mazatlán, a resort town on the Pacific shoreline. At the age of 21, Millan came to the US illegally through the US-Mexico border. He could not communicate in English back then and only had $100 on him. He became acquainted with Jada Pinkett Smith during this period. To her, he divulged his aspirations of working with pets on television. She advised him to learn English first and helped him find a teacher. 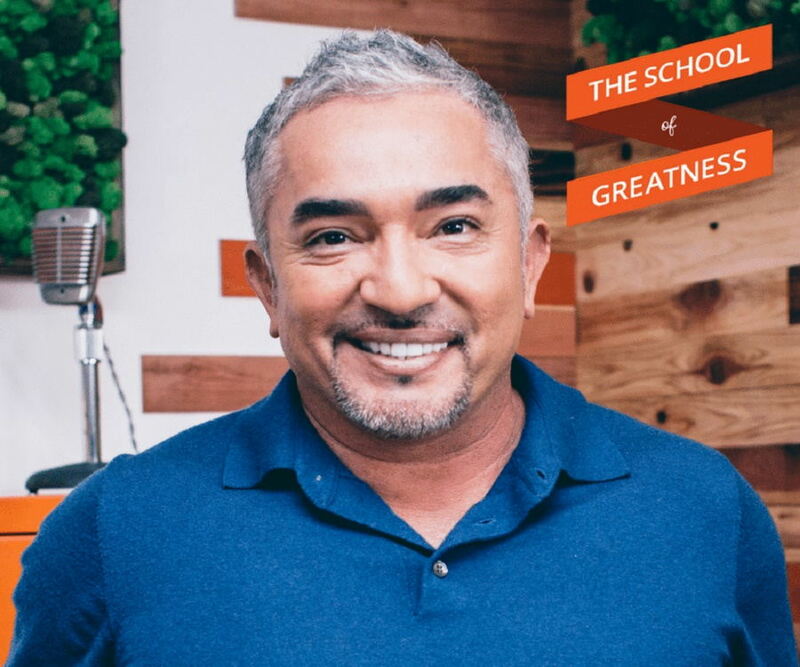 After getting into the US, Cesar Millan first worked at a dog grooming store. Later, he set up the Pacific Point Canine Academy, where Pinkett Smith was one of his early clients. He briefly worked as a limousine driver as well. In 2002, he established the Dog Psychology Centre in South Los Angeles to provide special care for large breed dogs. Millan received national attention after ‘Los Angeles Times’ ran an article on him. In 2002, he started collaborating with MPH Entertainment, Inc. on the television pilot for ‘Dog Whisperer’. The show was conceptualized as a reflection of Millan’s years of experience dealing with pets. It would revolve around him as he attempts to rehabilitate unruly dogs. In 2009, Millan started publishing the magazine ‘Cesar’s Way’ in US and Canada. Serving as its editorial director, he used the magazine as a way to educate people on canine behaviour. The magazine also published articles on the relationship between dogs and humans. Between 2012 and 2013, Millan appeared in the Nat Geo Wild’s TV series documentary, ‘Cesar Millan’s Leader of the Pack’, which shows his initiative to find new homes for shelter dogs. The show is primarily shot at Millan's newest Dog Psychology Center situated in Miraflores, Spain. 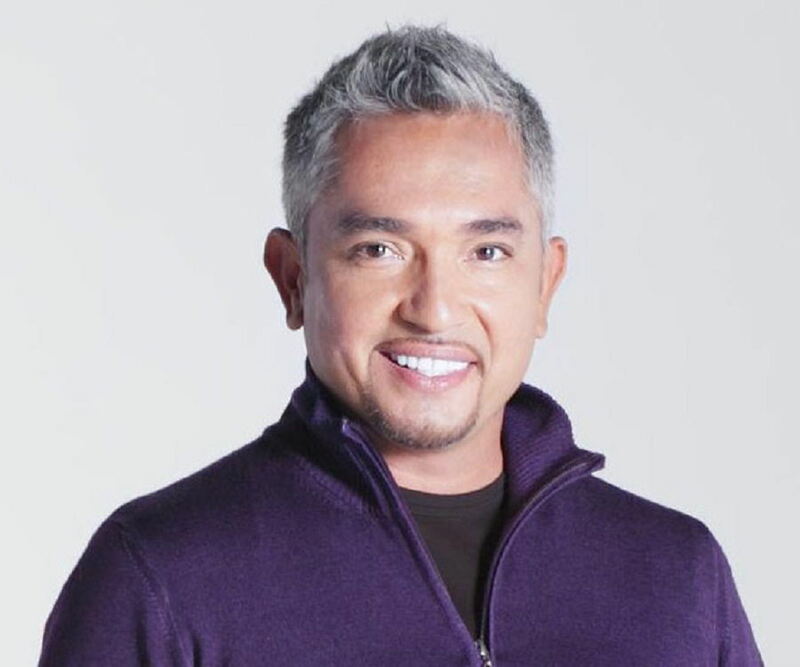 In 2014, Millan’s new series, ‘Cesar 911’, premiered on Nat Geo Wild. Renamed ‘Cesar to the Rescue’ in non-American markets, the show aired for three seasons. Besides starring in the series, Millan also served as an executive producer. In 2015, he and Greek-Canadian entertainers and TV veterans Sid and Marty Krofft joined forces to make Nick Jr’s children TV series ‘Mutt & Stuff’. In 2017, Millan, along with his oldest son Andre, starred in his new show, ‘Cesar Millan's Dog Nation’. Millan travels around the world and hosts dog training lectures and stage performances. Known as ‘Cesar Millan Live!’, these shows are generally comprised of a lecture and a demonstration with local shelter dogs. Millan has written multiple New York Times best-selling books, including ‘Cesar's Way: The Natural, Everyday Guide to Understanding and Correcting Common Dog Problems’ (2007) and ‘Cesar Millan's Lesson's from the Pack: Stories of the Dogs Who Changed My Life’ (2017). The first episode of ‘Dog Whisperer with Cesar Millan’ aired on National Geographic Channel on September 13, 2004. While its first season was being broadcast, the series topped the list of National Geographic shows in terms of viewership. In later seasons, the show aired in over 80 countries worldwide. At the height of its popularity, it attracted about 11 million American viewers every week. In 2011, the show began airing on Nat Geo Wild. ‘Dog Whisperer with Cesar Millan’ was nominated for the Outstanding Reality Program Emmy in 2006 and 2007 but did not eventually win in either of those times. Millan received the Michael Landon Award for Inspiration to Youth Through Television in 2005 and once more in 2007. In 2008, the show was awarded the TV Best Variety or Reality Show at the 23rd Annual Imagen Foundation Awards, as well as the People's Choice Award for Favorite Animal Show. It won the last award in 2010 as well. Millan uses “calm assertive energy” to modify the behaviour of his subjects. He holds the view that dog owners must set themselves as pack leaders in the eyes of their pets and advocates that dogs essentially have three requirements, exercise, discipline and affection, in that order. Millan and his methods have been the subjects of much criticism since the time he has begun propagating them. Many of his detractors claim that “calm submission” is nothing but a state of helplessness that comes from the implementation of aversive dog-training techniques. Cesar Millan has been in US since he was 21 years old. He became a permanent citizen in 2000 and earned US citizenship in 2009. At present, he resides in Los Angeles, California. Millan exchanged wedding vows with Ilusión Wilson in 1994. They have two children together, Andre Millan (born 1995) and Calvin Millan (2001). Over the years, Millan has had several dogs. However, an American pit bull Terrier named Daddy provided the essential canine support in his dealings with other dogs. As Daddy was growing old, Millan picked another pit bull puppy, Junior, to be Daddy’s protégé and train under him to take up his duties after his death. In February 2010, Daddy passed away at the age of 16. However, prior to his death, he and Millan were able to train Junior thoroughly to assume the older dog’s responsibilities. From his predecessor, Junior has learned how to work with Millan in rehabilitating dogs by employing what Millan calls “calm assertive energy”. After Daddy’s death, Millan found out that his wife was planning to divorce him. In May 2010, he tried to kill himself. In June that year, Ilusión began the divorce proceeding. It was finalised on April 21, 2012. In August 2010, he started dating Jahira Dar, a native of Dominican Republic. In April 2016, they made the news of their engagement public.